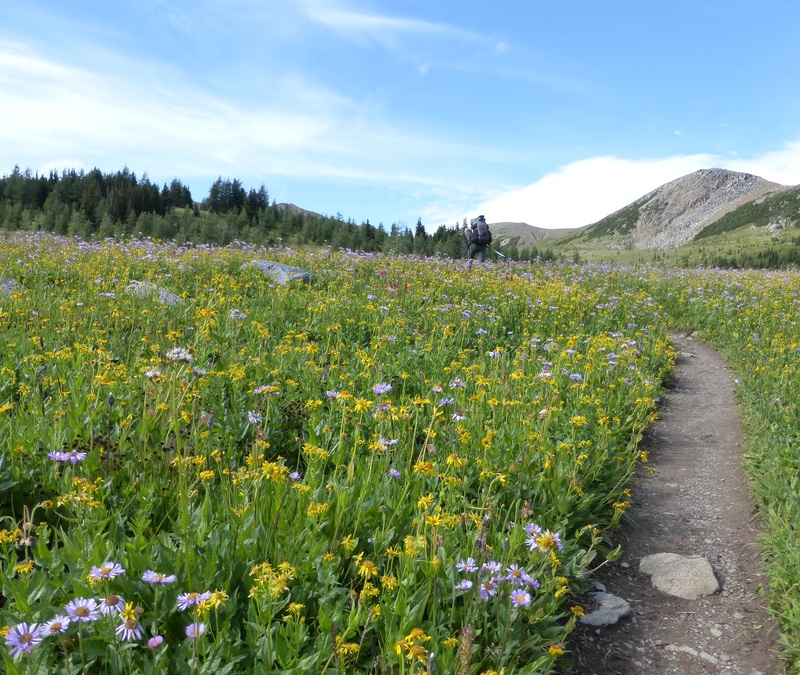 Oddly, for someone who’s been closely involved with the Great Divide Trail for 45 of his 65 years, section-hiking the entire GDT – let alone thru-hiking it, where you knock the whole thing off in one go – is a notion that has never come into my head. I suppose I’m one of those peculiar people who’d rather build a trail than walk it. But it’s now firmly in my bucket-list. Let me explain why. In the summer of 2018 we lost a good friend and supporter of the GDTA, Bruce Parkin. To me, Bruce was actually more of an acquaintance – our kids were friends and attended the same school, and I volunteered with his wife Lynn on fundraising events – but he always struck me as a thoroughly agreeable person and a true gentleman. Not to mention a guy blessed with movie-star good looks! Of course, like most of us, Bruce was a lot more than his personality and appearance. He was many things to many people: a dedicated husband and father, teacher, coach, youth leader, Christian role model, and loyal friend. And, I have to state, an inspiration to many … including me! Bruce was also a very physically active person. From Friday morning hockey to triathlons to skiing, he relished sports he could personally engage in, particularly if they involved the great outdoors. 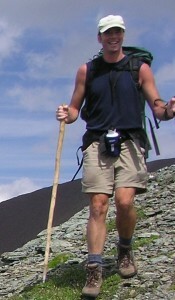 Hiking, perhaps unsurprisingly, was his passion. Over the course of several summers, he section-hiked the GDT, beginning in Waterton Lakes National Park and working his way north toward his ultimate goal of Kakwa Provincial Park, a distance of almost 1200 km. And as we know only too well, trail conditions on the GDT range from well-defined and marked to virtually non-existent and nearly impassable. A major challenge for a solo hiker, which describes Bruce whenever one of his sons, his brother, or a friend was unavailable. Which was all too often, I’m told. On the plus side, he’d say, when alone in the magnificent surroundings he felt much closer to God. In fact, what would prove to be Bruce’s final section hike on the GDT was unaccompanied, when he couldn’t recruit a companion but was determined to get his 2018 section in the bag. He set off from Natural Bridge in Yoho in mid-July, heading north up the blowdown-choked Amiskwi trail, then crossing the pass of the same name before descending into the notorious Blaeberry Valley. There, a little over a month before our GDTA trail crew arrived to begin reopening the David Thompson Heritage Trail, he became frustratingly bogged down in the tangled mess left by the 2013 floods and decades of neglect. Having previously been made aware of the challenges facing him in the Blaeberry and Howse River valleys, Bruce made the difficult but wise decision to abandon his trek in the interest of personal safety, and he exited the valley to the south via the old forest service road. A month later Bruce passed away suddenly and unexpectedly from an aortic dissection. He was vacationing with his wife and some friends at Windermere, BC. Bruce was 57 years young. I heard the shocking news as I was preparing for our David Thompson Heritage Trail restoration trip (see “The Vanishing Trail – Part 2” in this edition of The Pathfinder), and learned about his last hike and the remarkable coincidence that it ended precisely where we were about to begin our work. Later, on the same date (Sept. 2nd) as his official memorial service in Calgary, I held a small observance of our own at our Cairnes Creek base camp, and dedicated our efforts to Bruce’s memory. Why commemorate someone like Bruce? Well, one good reason is that he’d developed such an infectious passion for the Great Divide Trail that he made many others aware of it; as well, his family felt that an appropriate way to honour him (and what they believed his final wishes would have been) was to request that donations in his memory go to two causes close to his heart, Christian relief organization Samaritan’s Purse, and the Great Divide Trail Association. 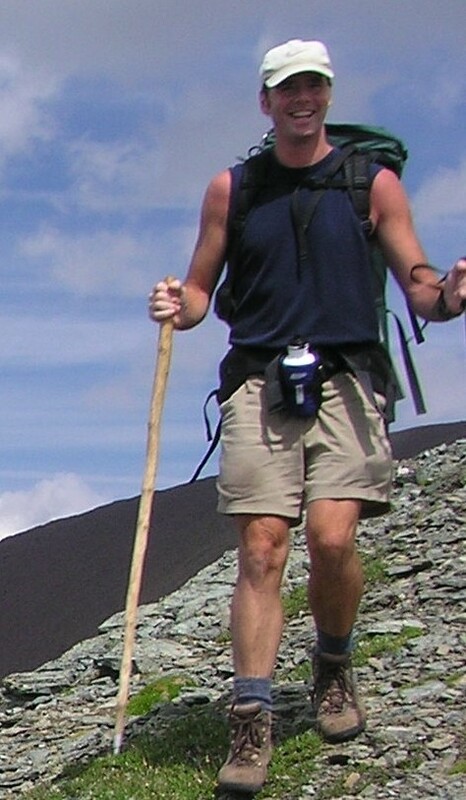 But I also think it’s worth noting that Bruce represents a class of trail user that we don’t consider often enough, with the more high-profile international thru-hikers always grabbing our attention. These mostly local western Canadians, who hike the Trail more sporadically, derive a huge amount of pleasure and satisfaction from their treks and quite often become committed volunteers and leaders, thus ensuring the long-term sustainability of both the GDTA organization and its mission. Sadly, Bruce will never be in that latter category but the funds we have received in his memory will go a long way to advancing our cause. Finally, he reminds us of the old maxim: Life is precious, make the most of it. Having had a health scare of my own recently, I’m inclined to agree! My goal is now to finish hiking the GDT north from where Bruce left off (most of which, by coincidence, I have yet to set foot on).